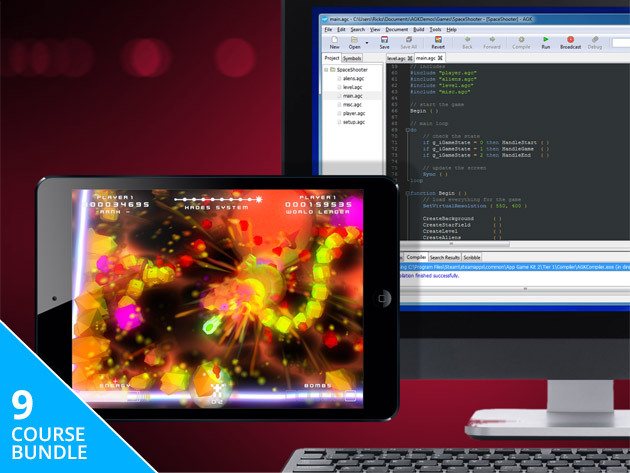 The Complete Mobile App & Game Development Kit provides the software, tools, and instruction to easily build games and mobile apps. You don’t need to be a coding guru to create your own video games—you just need the right tools. AppGameKit is a one-stop development engine that lets you quickly code and build apps for multiple platforms, no programming experience required. Designed with a BASIC scripting system, AppGameKit does the heavy lifting for you, making it easy to code, compile and then export your projects to Mac, Windows, iOS, Android, and more. AppGameKit already streamlines the game-making process, but you can make it even faster with the Visual Editor. Featuring a new drag-and-drop tool, the AppGameKit Visual Editor removes the guesswork that comes with 2D object placement. You can easily import your project files and modify them on the fly with intuitive controls. Plus, you’ll also have access to handy features for cross-device testing, designing multiple scenes, and more so you can get your games built faster. Even VR games are a breeze to create when you’re building them with AppGameKit. Using this expansion, you can add powerful and intuitive VR commands to the AppGameKit Script language, allowing you to develop your own VR titles with zero hassle. From detecting head-mounted displays to integrating leap motion-support, AppGameKit VR dramatically expands what your games can do. Witness the power of AppGameKit by playing through Echoes III, a showcase game that keeps the action coming from all sides! Now in full 3D, Echoes III is a retro-style shoot-em-up game that has you blast your way through ever increasingly intense solar system levels. You can push the odds in your favor by picking up weapon upgrades, shield boosts and more; and you can play the game again and again with multiple game modes and solar systems to play through. If you’re curious as to what you can make with AppGameKit, let this game pack show you! From puzzle to action and tower defense games, this collection includes 15 games that demonstrate what can be achieved when you code with AppGameKit. You’ll have access to the source code for many of the titles, plus a PDF booklet detailing the journey one creator took to creating full games with AppGameKit. Inside this supplemental game pack, you’ll find 13 full games that demonstrate how to use AppGameKit to build your own gaming projects. 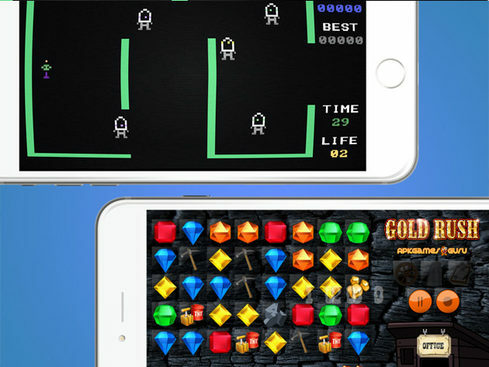 From an arcade shooter to a classic platformer, each game was made in AppGameKit and shows what you can achieve when you use this amazingly intuitive platform. Jump in, and you’ll get full access to each game’s source code, so you can discover how the developers made each title. Jam-packed with explosions, fireballs, spaceships, and more fun objects, the Giant Asset Pack is your one-stop resource for making your games pop with AppGameKit. Inside, you’ll find more than 500 sprites, sprite sheets and sprite construction sets that make for over 2,000 individual sprites! What’s more, you’ll also get access to code demonstrations that showcase the sprites, so you can bring your games to life faster. No game would be complete without animated models to bring it to life. Inside this pack, you’ll find more than 250 low-polygon 3D models that you can use in your own projects. Sourcing models that use polygons optimally has a major impact on your game’s performance, and this pack does the legwork for you. From cartoon to driving and shooter themes, the assets in this pack are organized into 8 unique categories and give you a great starting point for creating games in those genres. Spanning more than 1,000 pages of beginner-friendly, project-based instruction, the Official AppGameKit Tutorial Guide is more than just a reference book. This wall-to-wall guide is designed to demystify the art of programming and get you using AppGameKit to its fullest potential. Inside, you’ll find detailed explanations of every statement, which are often accompanied by sample programs that demonstrate exactly how it operates. You’ll cover sprites, text, data types, user input and more essential concepts and even refine your skills with hundreds of hands-on activities included.